Here you can keep up with a variety of special events and programs by and for Florida FIRST teams. “Special Events” listings may have admission fees, but all FIRST specific events listed here are free and open to the public, and offer great opportunities to see FIRST in action! Please visit our Calendar page for dates and information about tournaments and other events. Is your team hosting summer camps or workshops? Please email JT@CentralFloridaRobotics.org and we’ll share on this page and in email messages throughout the summer. Learn LEGO at Polk State College this summer! Recieve training from experienced LEGO educators on implementing FIRST LEGO League Jr. or FIRST LEGO League in the classroom or after school! Program robots, create projects, and experience the full programs for yourself so you can share the amazing and inspiring FIRST programs with your students! See the flyer here for more information. June 18-22 with morning, afternoon, or full-day sessions! Build, design, and program LEGO Robots! Hands-on science activities! See the flyer here and sign up on ExplodingBacon.com! Camps on various STEM topics available June 4 to July 27, including: Robotic Arms, Smart Vehicles, Animatronics, Video Game Design, and more! Visit ShivaRobotics.com to learn more! Find tournament schedules for all our programs on our Calendar Page. 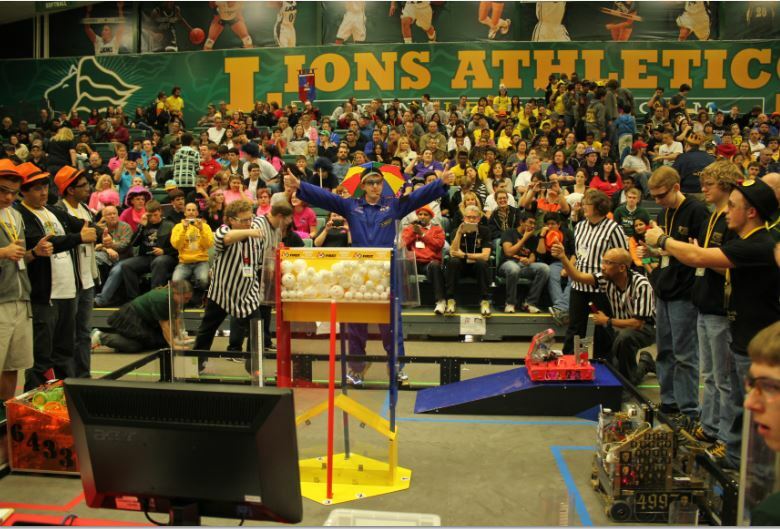 If you’re on a team and would like to provide cross program support at FIRST LEGO League, FIRST Tech Challenge or FIRST Robotics Competition, please register at the link above to let us know what event you’d like to attend, to provide outreach. There are currently no VISTAs in Florida. For questions or to get involved, contact vista@firstinspires.org.